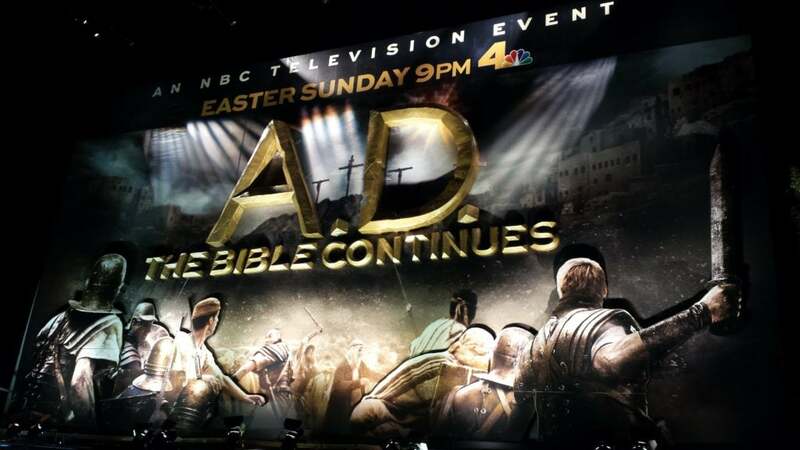 Acme created a three-dimensional BillBoard display for NBC’s A.D. The Bible Continues. 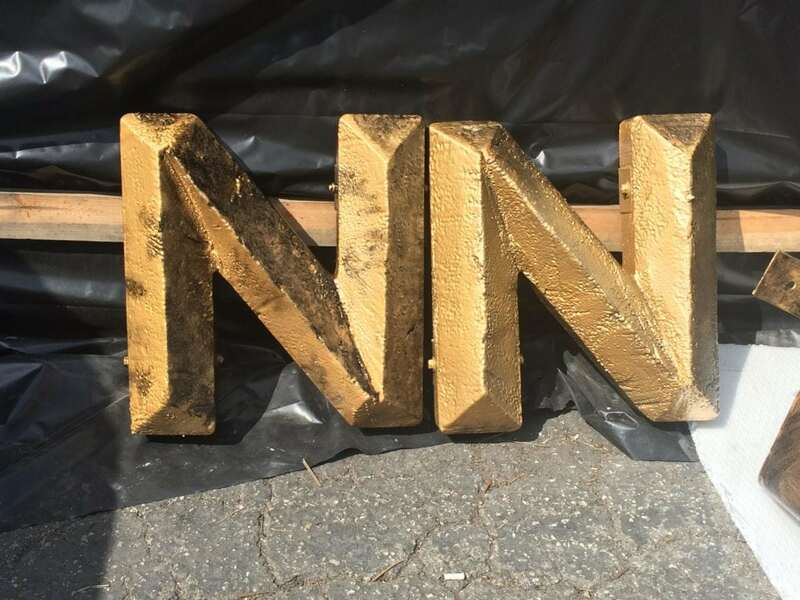 The billboard featured 3D letters sculpted out of foam, then hard coated and painted to achieve a forged gold look. 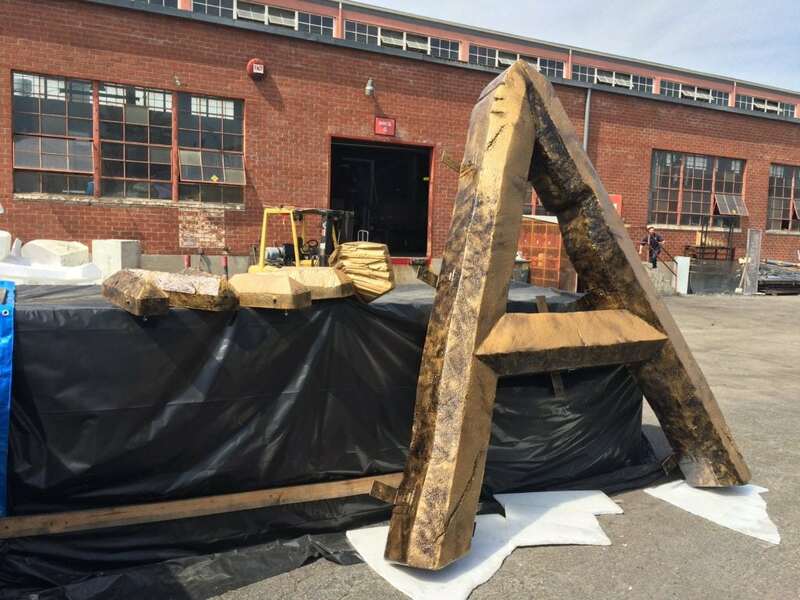 Below, the foreground of the billboard is created as a separate layer and raised off the back graphics. 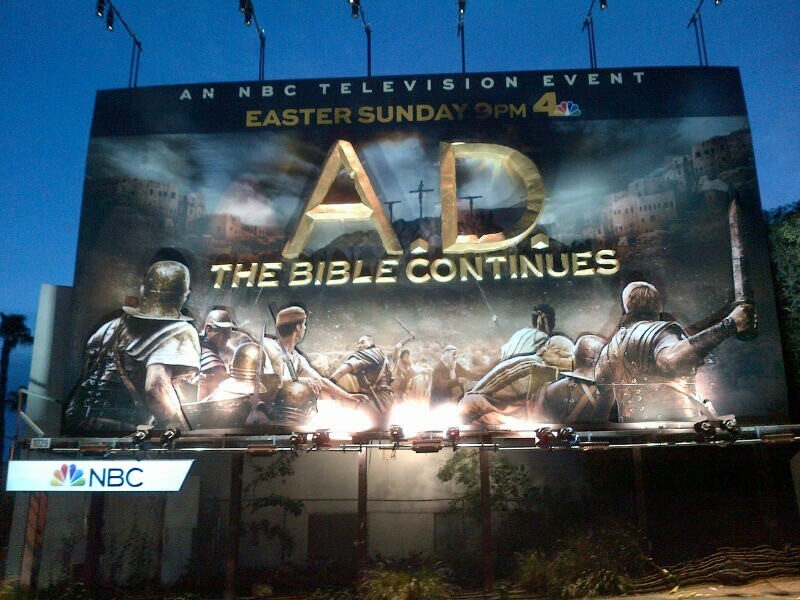 This compounds the 3D effect of the entire billboard. The entire billboard is then covered with a white wash and spotlights.